PHOENIX – Sirena Rana Dufault has hiked Mount Lemmon, outside Tucson, more times than she can say. But she still has a sense of wonder, noticing little things, including a dust-colored lizard skittering past. Dufault, 44, appears at home here, in a pine forest, on a trail. But she knows not everyone does, for all sorts of reasons. Sometimes it’s about physical ability. Sometimes it’s about transportation. And sometimes it’s about the color of your skin. “If you just see people who don’t look like you, it just feels different,” Dufault said. As the daughter of a father from India and mother from Italy, Dufault gets it. 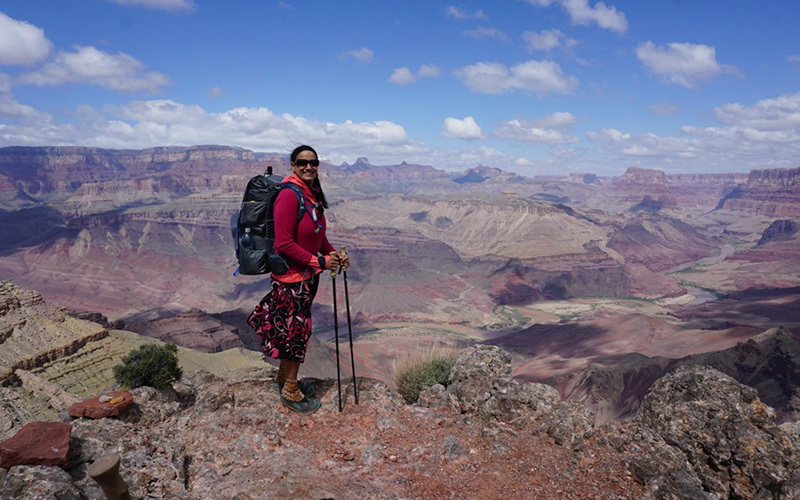 She has hiked the entire 800-mile Arizona Trail – twice – and said the farther you get into the backcountry, the fewer hikers of color you see. “It’s just that feeling like, like an otherness,” she said. And that can be intimidating and limiting. In Phoenix, Adriana Garcia Maximiliano, 26, loves hiking but has never taken a backpacking trip alone. And just to be clear, Garcia, who was born in Mexico, was talking about safety from other people. Jaye McAuliffe is white but feels that way, too. As a transgender woman, McAuliffe feels vulnerable in the wilderness in a way she never did before she came out. 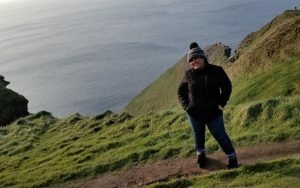 That fear isn’t something that Anel Arriola, 35, feels – although her mother sure used to – whenever Arriola goes on a hike. Her issue is the lack of awareness among Hispanics of hiking opportunities across the state. Even now, she said, in a time when there’s so much information about trails online and on apps, the Hispanic community – and especially the Spanish-speaking community – is largely left out of the conversation. That someone was Arriola’s sister. But not everyone has that person in his or her life, someone to help open the invisible door that keeps people locked out of the wilderness. That’s where Dufault hopes to help. “Hi! Do you mind if I take your photo?” Dufault asked, and she and the woman struck up a conversation. Dufault is writing a book “Day Hikes on the Arizona National Scenic Trail,” set to be released in 2020 by Wilderness Press. The book will break down the 800-mile trek into dozens of shorter, digestible hikes for different ability levels. But perhaps just as important, it will include photos of all types of people on the trail. Dufault will soon be submitting to her publisher pictures of black hikers, brown hikers, LGBTQ hikers. And she thinks everyone has a place here – even her, a former Chicago resident who only got into hiking in college, after she was hit by a car while walking and developed fibromyalgia. Before she started hiking, she was on the road to giving up. Then her eyes lit up and darted away, toward an explosion of blue flowers on the side of the trail. She looked delighted, as if it was the first time she’d ever seen them.